These stainless steel pins have a domed head and either a solid or hollow end. 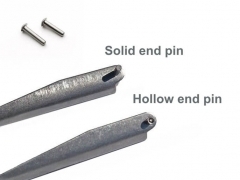 Hollow end pin is .50" long, solid end pin is .57" long. 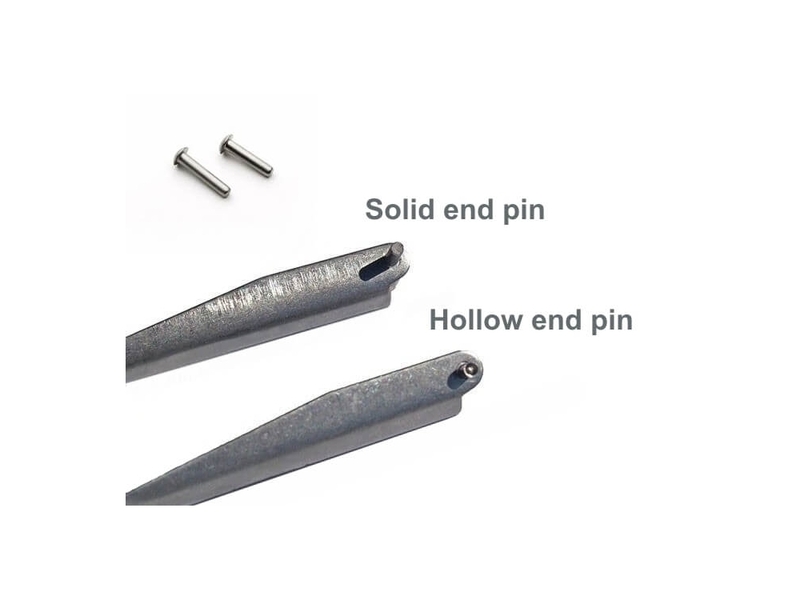 The hollow end pin is easier to install, lightly hit the hollow end flat with a hammer after the pin is inserted. The solid pin requires cutting to correct length and working the end into a flange after it's inserted. This is done by lightly tapping the the edges of the pin end with a hammer. Avoid hitting the solid pin end straight on as the pin may bend and not pivot well inside the pin hole.